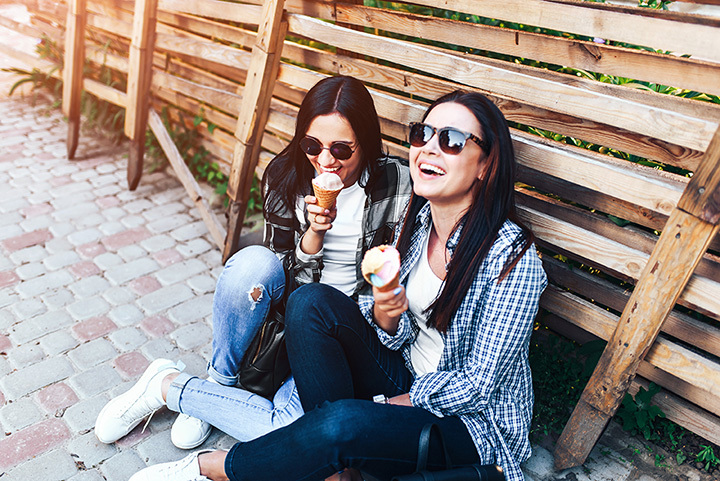 Whether you’re looking to cool down after a warm day under the Big Sky or just need to add a little sweet to the end of a savory Italian meal, there’s nothing quite like a scoop of gelato to put a smile on your face. Here are our favorite places to grab a scoop of delicious Italian ice cream in Montana. At Bozeman’s Café Fresco, you can have a delicious Italian meal and cap it off with a dish of the café’s gelato, which is made in-house in a regular rotation of flavors. Or you can skip dinner all together and get an extra scoop of gelato and enjoy it with a cup of rich espresso. If you’re hitting the slopes—on skis, a board, or in boots—in Big Sky, stop into Ousel & Spur Pizza Co. for some of the tastiest ‘za in Montana. Put a cherry on top of your meal with a delectable dish of one of the daily gelatos. The selection changes regularly. Get an affogato or add a shot of dark rum to add a kick to your gelato. When seeking gelato in Kalispell, head over to When in Rome Pizzeria. Not only do they serve up authentic, Italian-style pies—called the best in the state by Food Network Magazine—they scoop some of the tastiest house-made gelato under the Big Sky. Mountain Mall Mocha is coffee shop located (unsurprisingly) in the Mountain Mall at the Big Sky Resort. Catering to skiers, boarders, and the early après crowd, they not only brew fresh Starbucks coffee but also serve hand-scooped gelato to go with your cuppa Giù. If you find yourself seeking a cool dish of something dolce in Billings, head over to Café Italia. They make their gelato daily, right in their very own kitchen. The flavors change daily, so you’ll have to visit frequently to get a handle on their repertoire. Whether you’re looking for an upscale Italian experience or a casual pop-in at a café, Caffe Dolce’s two Missoula locations have got you covered. Fortunately, as the name “Caffe Dolce” would imply, you can order a dish of their sublime gelato at either location. Who's ready for a warm weekend?! Tarantino’s Pizzeria serves up some of the tastiest pies in Billings. And there’s no better way to finish off a slice (or six) of savory pizza than with a cool, sweet spoonful (or six) of gelato. Tarantino’s gelato flavors rotate regularly, so be sure to ask what’s available. If you like your gelato in a casual, laid-back atmosphere, mosey over to Wild Jo’s in Columbia Falls. They will happily serve you a gourmet hot dog and a cup of gelato to finish it off with. They also have Italian ice and frozen yogurt if you need a brief break from all this tasty gelato. Blackbird Kitchen doesn’t always have gelato on the menu, but this organic, local restaurant often serves an inspired gelato dessert, like basil gelato, to complement its wood-fire-grilled dishes. The menu usually changes weekly, so call ahead to see if they have gelato on hand.